Parents, You deserve a break once in a while! 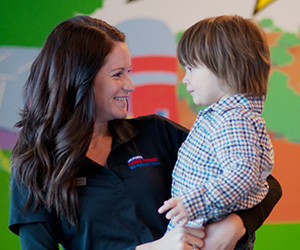 Good news - we host Parent’s Night Out events at our clubs so you can leave the kiddos with us and enjoy a night out! With fun themes like Pirate Adventures and Campouts, your kids will be begging you to go out on more date nights so they can play at our clubs! While you enjoy some quality one-on-one time, your kids will enjoy a fun and active evening in our Kidz Klub. Let our well-trained staff supervise your children and engage them with fitness activities, fun games, arts, crafts, and more! Saturday, July 26th from 5-9pm: Camp out theme. Children will be making smores, telling campfire stories, going on a scavenger hunt throughout the club, enjoying delicious campfire food and much more camp out fun! Saturday, August 30th from 5-9pm: Mad Science theme. Bring your science enthusiasts and inquisitive minds to this fun and interactive PNO. Arden has a Parent’s Night Out Event every 2nd Saturday of the month! Our next one is Sat. August 9th. For more information on these and other events, please visit our Kidz Klub Activity Guide!